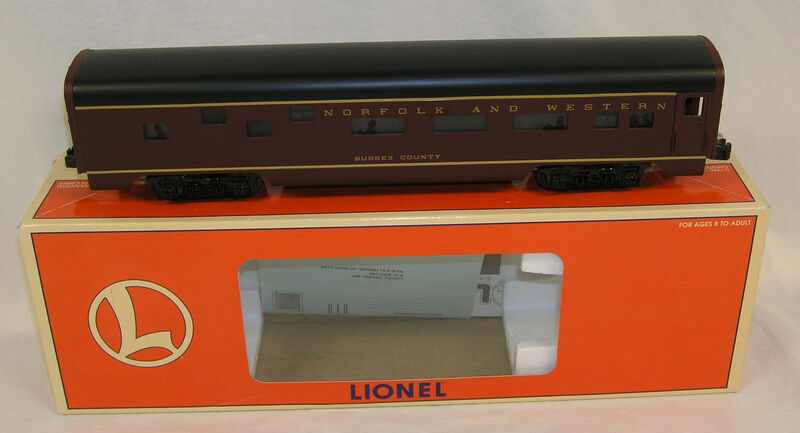 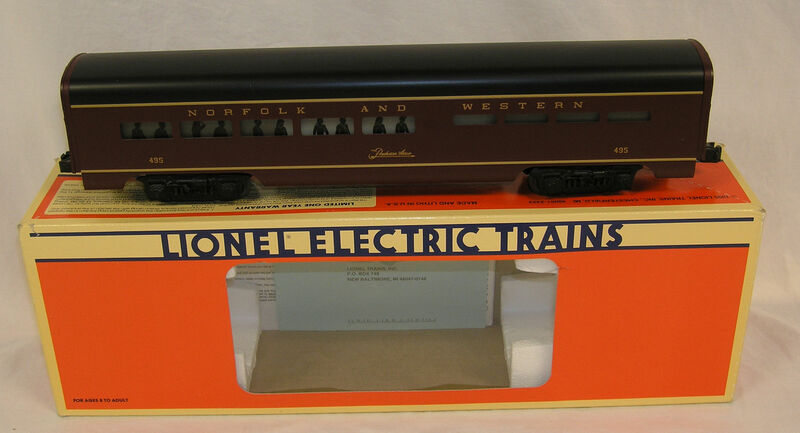 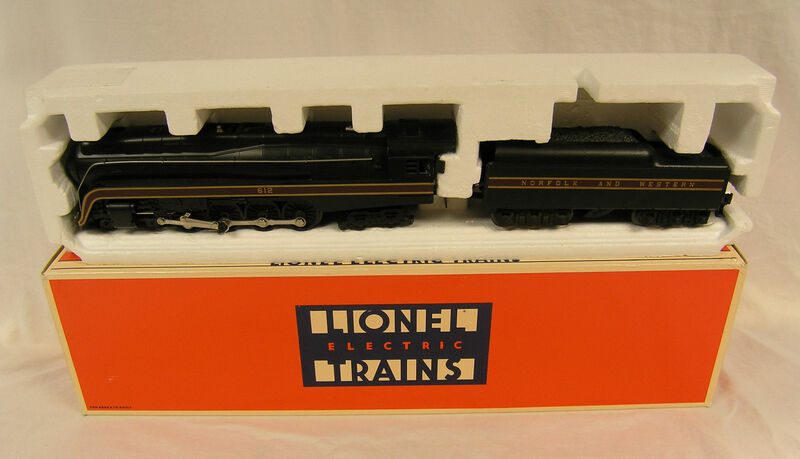 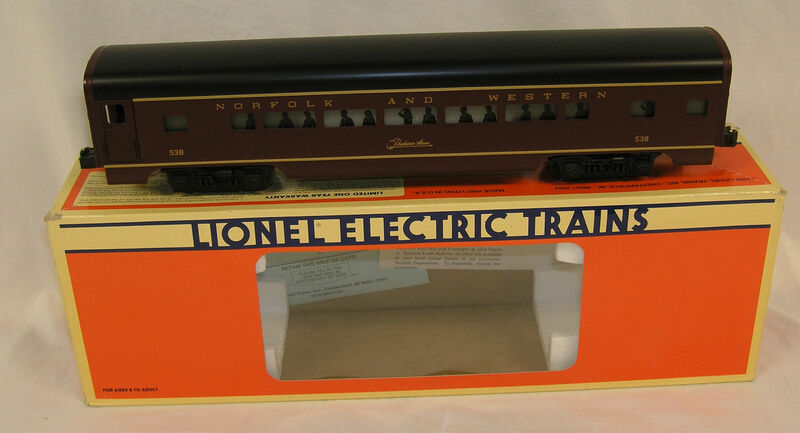 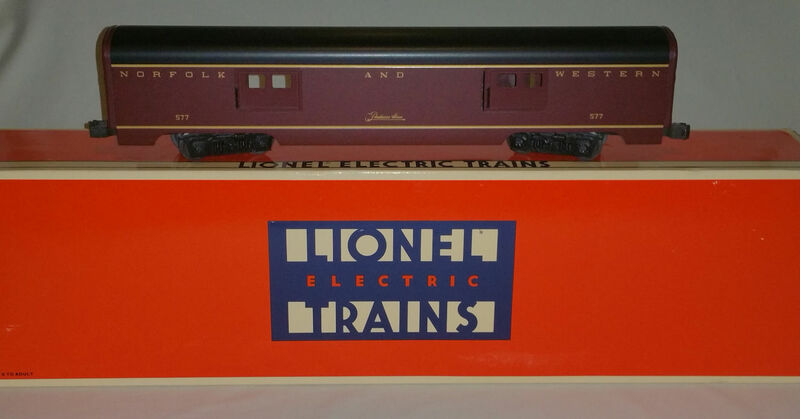 This is a Lionel N&W Class J 4-8-4 Powhatten Arrow Passenger Set with Locomotive, Tender, and seven (7) Passenger Cars. 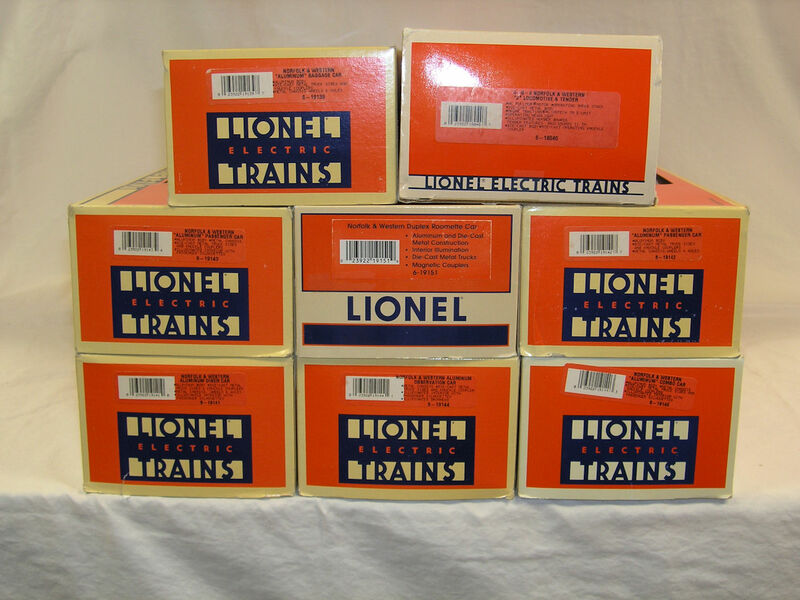 All have original packaging and boxes are in excellent condition. 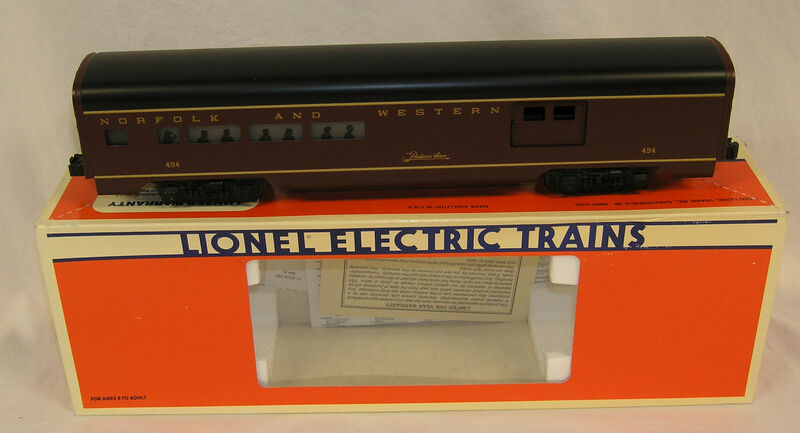 This set was displayed in my smoke-free home and has never been run on tracks. 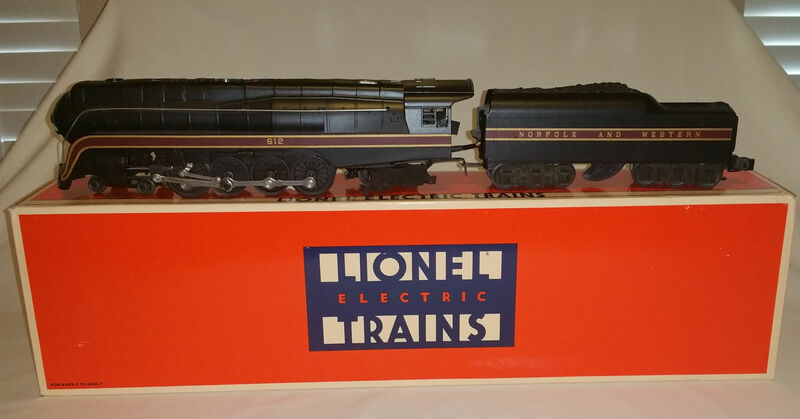 Set includes: 6-18040 Locomotive and Tender, 6-19139 thru 6-19144 Passenger Cars (Diner, Baggage, Observation, Combo, & 2 regular passenger), and 6-19151 Roomette cars. 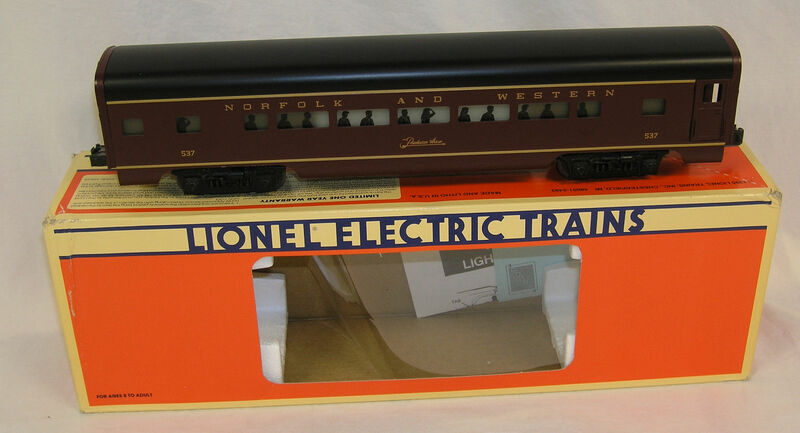 This is a one-owner collection, and I prefer it remain together as a complete set, all items originally purchased by me about 1997-1998. 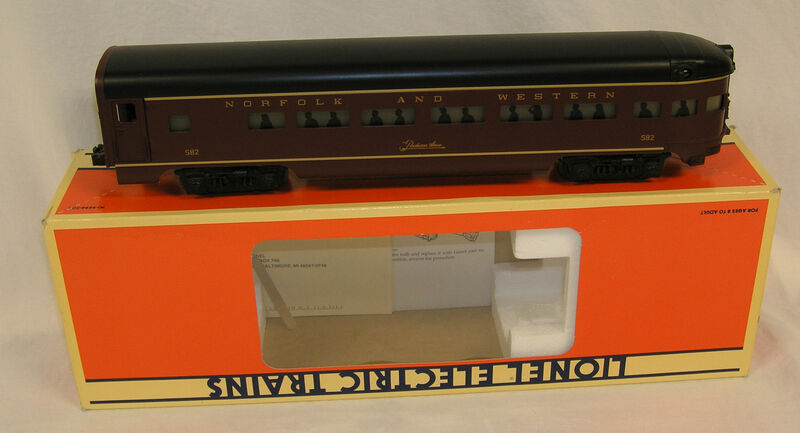 Per Seller - Will be professionally packed and sent via UPS Ground.